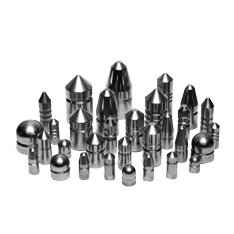 NLB offers a wide range of nozzles for many different applications. 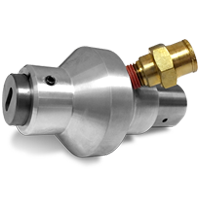 Be it a simple zero degree nozzle for use on the end of a hand lance, a custom drilled pipe or tube cleaning nozzle, or a specially engineered rotating nozzle, NLB offers them all. And, as with all of NLB’s high pressure water jetting equipment, you can be assured you are buying the highest quality components available. Click on any of the Learn More buttons in the various categories below to find out how we can help you source the right nozzle for your exact application. Turn an ordinary high-pressure lance into a superior water jetting tool by adding two rotating jets to the front of it. Standard nozzles have a single orifice, but can provide either a tightly focused 0° stream or a wider fan spray. 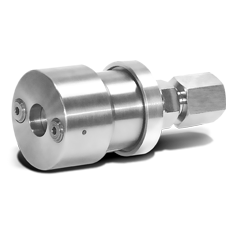 Models are available for pressure up to 40,000 psi (2,800 bar). NLB wet abrasive blasting systems combine the force of a high-pressure water jet with the cleaning action of abrasive media. 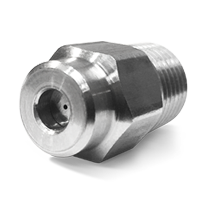 NLB offers a wide range of nozzles for tube and pipe cleaning that deliver a spraying pattern optimized for your application. 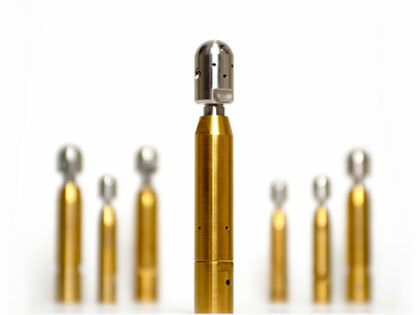 Typhoon nozzles are optimized for pipe and tube cleaning efficiency. Rotation occurs at the nozzle, so the water force is focused up front where it is most effective. Rotating line moles quickly remove hardened deposits from the insides of pipes and tubes, polishing the I.D. as it goes.